This is a post by Gautam Rege of Josh Software. Gautam Rege and Sethu Ashokan are the co-founders of Josh Software in Pune, India. Josh Software is one of the experts in building software with Ruby on Rails. They have graciously agreed to support the ongoing development of the United Prosperity website on a pro bono basis. They also volunteered to do a field visit to Sri Lanka to see how their contribution is directly impacting people’s lives. They no doubt live up to their company’s name Josh that stands for enthusiasm and passion in Hindi. The post by Gautam Rege follows. 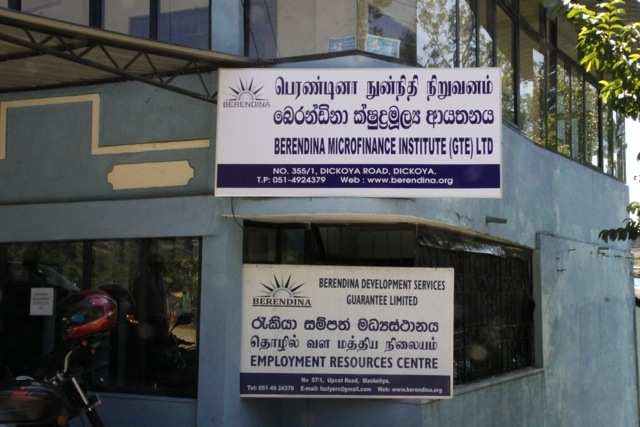 In the first week of February, Sethu and I were on a field visit to Sri Lanka that was organized by Berendina Micro Finance Institution (BMI) and UnitedProsperity. Little did we know what’s in store for us but we have come back home changed and inspired. The visit agenda was to study the impact of the micro loans that Berendina provides to their customers and to see its impact. UnitedProsperity has been involved in providing the micro guarantees for these loans. We arrived at Dickoya branch near Nuwara Eliya in the morning. A 4-wheel drive was required to scale treacherous uphill and winding roads. 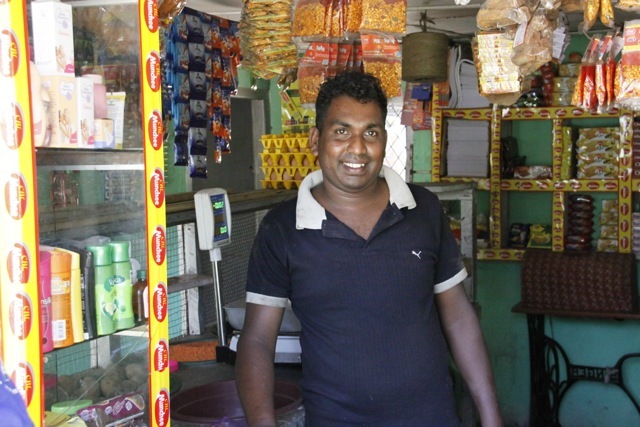 This branch services about 4000 micro-loans and is managed by just 6 Microfinance officers. After a brief presentation on what they do, we set off to meet the people who have been helped by these loans. The clientele varied from a house-wife whose has stared a business of incense sticks, to a person who has setup a shop, to a person who has purchased a cow for this small dairy and even a plantation worker who has built his own toilet! This post later contains some photos and videos about these people and the loan impact. What I shall talk about here is how this impacted us and what I felt was wonderful about this entire setup. Berendina has been around for more than 25 years and their meticulous approach to doing good as a non-profit is seen in their actions. They have an innovative way of providing loans. 30 clusters are managed by 1 branch officer. This way 1 branch officer manages about 900 customers! There are regular cluster meetings where the money is recovered on a monthly basis and the group is responsible for their re-payment. This encourages the group to work together and support each other, even on repayment. In some cases to ease the process, BMI also gives loans to co-operative society as a bulk loan. But Berendina doesn’t just stop there – they also have a Berendina Development Services (BDS) that is targeted only for improving the quality of life. One of the innovative approaches is about giving coupons for training camps – “Livelihood training”, “Entrepreneur accounts management” etc. These coupons are part of the loan and can be redeemed for training or they can get the cash value back in the case of unused coupons. This enables people to not just avail loans but also get some vocational guidance, education and knowledge. To my knowledge very few microfinance institutions anywhere in the world have implemented such a program. The plantation worker story is an awe-inspiring one. BMI is the only Microfinance institution that supports plantation works whole-heartedly. Plantation workers are those who have been working for all their lives in tea plantations and are considered very high-risk customers for repayment. 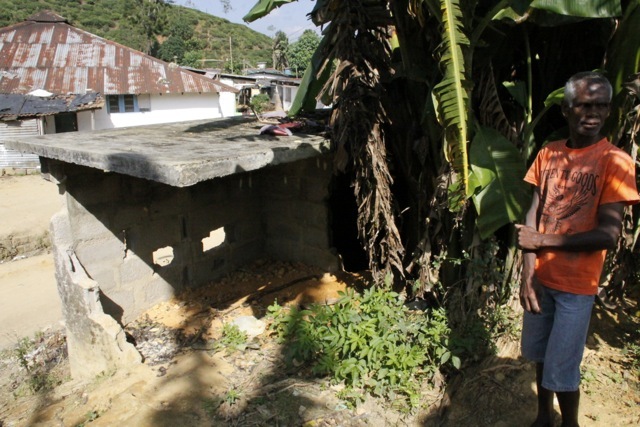 Their living conditions have traditionally been very poor. BMI strives to improve their quality of life by providing toilet loans, health camps, eye-checkups and even cataract operations all free of charge as part of their BDS initiatives. 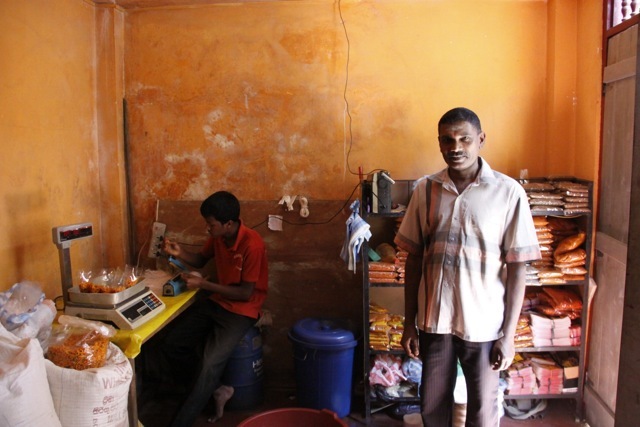 The Berendina office, which houses Kishore, the Branch Manager and his 6 Branch Officers. Parthiban – the Hero of the day. 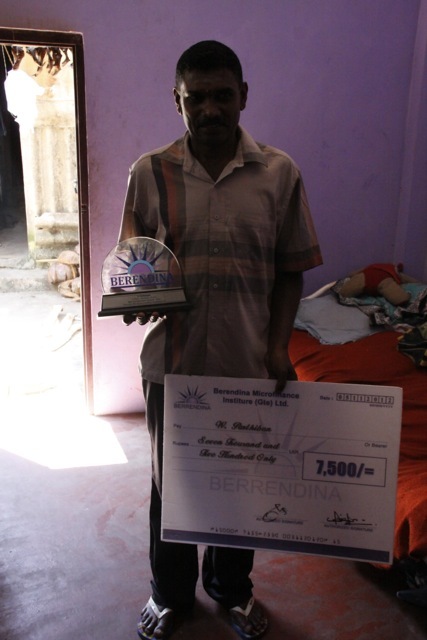 He has received the entrepreneur award from Berendina. The old and the new hygienic changes that Berendina is bringing about. 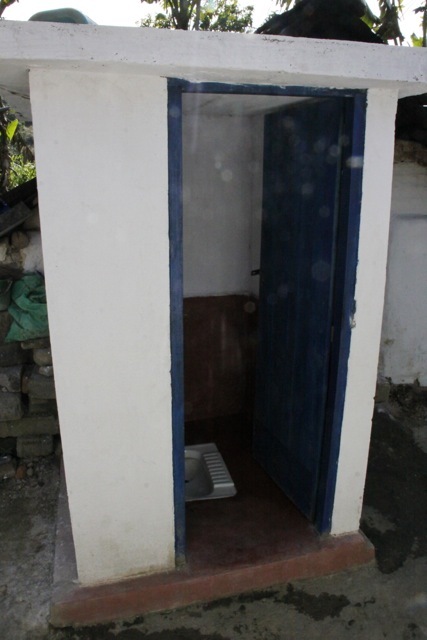 The plantation workers earlier had common open toilets as opposed to the new private clean toilets. 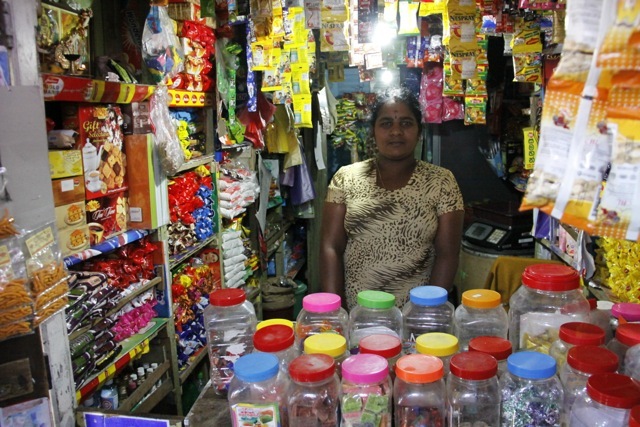 The Happy Shopkeepers – Srikumaran and Bhuvaneshwari – their lives have changes after the loans they got from Berendina. We were also highly impressed by the transparency, dedication and commitment of the Berendina team. Travelling with them through the long day in a tough terrain, we were amazed to see that their energy level never flagged and they seemed to be going on an on like an energizer bunny. This visit has energized us even more to do our bit to ending poverty.